April is Autism Awareness Month and there are many autistic individuals and some autism advocate parents who would love to see that changed to Autism Acceptance Month. So as part of Autism Awareness/Acceptance Month, I want to ask what we’re doing to accept autism. 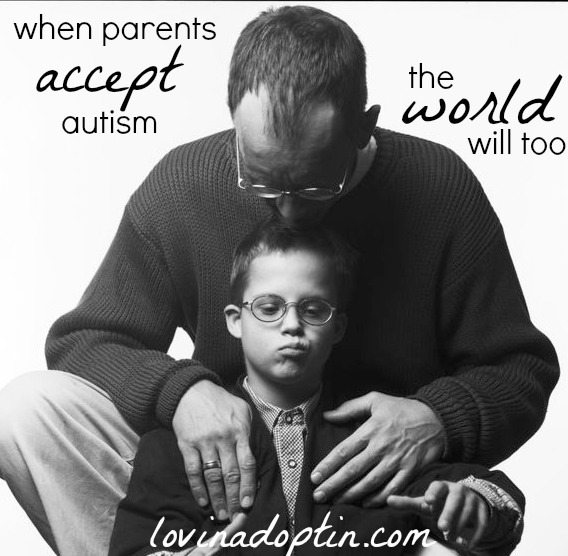 Accepting autism begins in the home of the autistic person, it begins with the parents and their view of autism. If you’re an autism parent, what is your view of autism, of your child? *You can read about why I refer to those who have autism as “autistic” in the post It’s in a Word: Autistic vs. Has Autism. Do you view your child through a positive lens? Or do you view them through a negative one, focusing on those “bad” behaviors (when your child is simply trying to communicate, or over or underwhelmed with sensory input), inability to make eye contact (some autistic people actually feel pain when forced to look someone in the eye), lack of social skills (or is it really different social skills)? Something that can keep us from seeing the positives or potential in our child or from accepting who they are is Applied Behavior Analysis (ABA). If your child’s in ABA, please know that I’m not judging you. I’m speaking honestly about how I feel based on my sons experience and how autistic adults who have sometimes suffered at the hands of ABA therapists feel. We are all on a learning path and the voices that have overwhelmed your experience are the ones that will largely determine the path you’re on. Most of the time that path for autism parents is ABA. They jump blindly into it because everyone who has a child with autism seems to be doing it, and almost every therapist, teacher, or doctor you talk to highly recommends it. I believe when ABA is extremely modified it can be helpful to a child who has autism. Some ABA therapists work under the guise of ABA when there isn’t much similarity so insurance will cover their services, however some ABA therapists still hold to the fundamentals of how ABA began. If you don’t know how it began, I encourage you to read ABA by Sparrow Rose Jones, an autistic adult who suffered under ABA. It’s important to know where this therapy stems from and if the therapy your child’s in has morphed from how it originated. Don’t worry, I know it’s overwhelming, and this post will help you know what too look for and be aware of. ABA’s focus isn’t on the positives in your child, or respecting who they are as a person, the goal is to conform them into what the world around them sees as “normal” and it’s based on a “fake it until you make it” mentality. And what if your child feels very normal and doesn’t want to change? Autistic children need to be reinforced with positives just the same as non-autistic children. We need to find out the why behind behaviors (because behavior is communication), not suppress them because they don’t fit into society, or those behaviors bother us. We consider the autistic individual and find solutions they agree with, not ones that are forced on them. Autistic children should never be forced to sit at a table for hours so they can learn colors, numbers, or letters, they need to learn through their environment (there’s a great example of this in the post More Perspectives on ABA). If an autistic child learns their colors and the stuffed bear is blue, there’s a good chance they won’t be able to correlate this with the outside world. The skills learned in ABA are often non-transferrable to the outside world because they aren’t learning through the environment. 1) Does your child’s therapy focus on the negative behaviors and not reinforcing the positives? How many positives are there to each negative? 2) Does your child have time to BE a child? If they’re going to twenty, thirty, or forty hours of therapy, the answer is no. 3) Would you accept this behavior toward a non-autistic child? I first read about this in the article, Would You Accept this Behavior Towards a Non-Autistic Child? It’s not a new concept, it’s something we should all think about when it comes to our children. 4) Is the goal of your child’s ABA compliance? A great article about this very issue is, No You Don’t by Sparrow Rose Jones. This article hit me hard. It’s extremely important to take a look at ABA from this angle. If everything is compliance and your child isn’t allowed to choose or say “No,” then there’s an enormous, life affecting issue going on. In No You Don’t, Sparrow spells out exactly what can happen to autistic individuals who are forced to comply with every request, and as a woman she speaks to the sexual abuse she’s endured because of this being ingrained in her psyche. 5) Are you allowed to be part of the therapy? If not, this raises a big red flag. Parents have the right to know what’s happening during their child’s therapy. Also, I feel very strongly that most therapy (meaning simply learning and guidance for our child) should be done at home. If the therapy you’ve chosen has passed the test, then you should be implementing it at home, this is where a large percentage of learning takes place, not in the classroom or therapy office. 6) Does your child’s therapist force your child to do things that are extremely difficult or impossible for your child to do? This is wrong for anyone to do. I’ve met ABA therapists who don’t know what making eye contact is like for an autistic person. 7) Is your child given ample opportunity to learn through their environment? 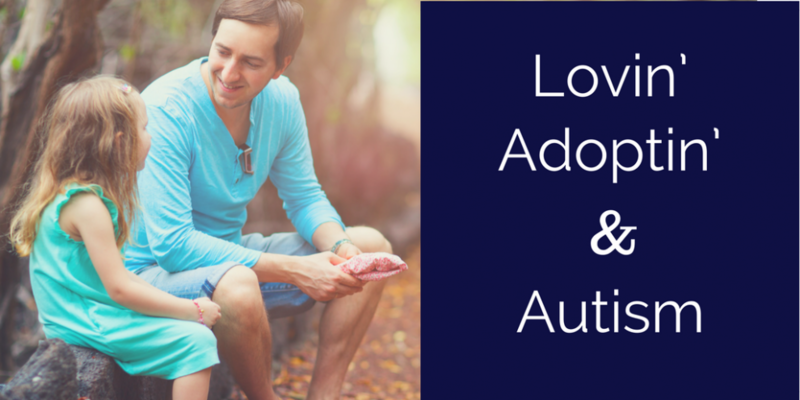 Does your child spend time with non-autistic children? 8) Is the therapist on the floor with the child, playing? Are they encouraging you to do the same? In my opinion some of the best therapy for children with autism is Floortime, a therapy created by Stanley Greenspan. The world says we need to put our autistic children in ABA. Other autism parents. therapists, doctors, and teachers pressure us into doing ABA. They feel it’s the only answer, as if there’s a problem to be solved. Every autism parent seems to be doing it and if you’re not, you feel you’re probably the one who’s wrong. After all, they can’t all be wrong can they? But once you realize the source of ABA, and what it really does to your child, you may reconsider. 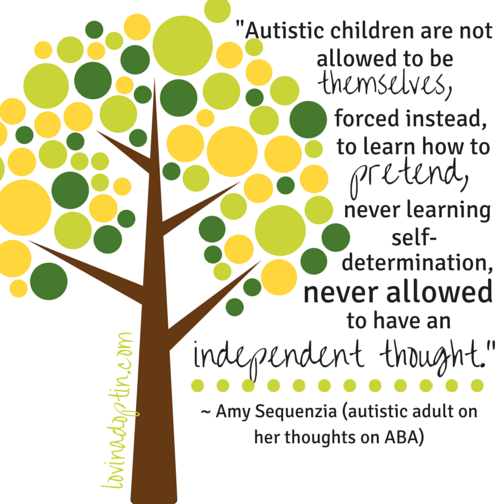 Once you hear the voices of autistic adults you may realize ABA isn’t the answer. If you’re looking for other autism parents who don’t agree with ABA practices, you can read Emma’s Hope Book . In the above mentioned article, The Misbehaviour of Behaviourists, it mentions how Dr. Ivar Lovaas (developer of ABA) worked with Dr. Rekers to remove homosexuality from children. This is how ABA began. I’ve heard of this throughout the autistic community, but this gives much more detailed information about how it came about. The autistic adults I’ve heard speak (may be non-speaking, but use communication devices) about their autism feel it’s a large part of who they are, and to try to remove or cure it is an assault on their personhood. As I said earlier, there is no better way to learn about autism than from those who have gone before our children. 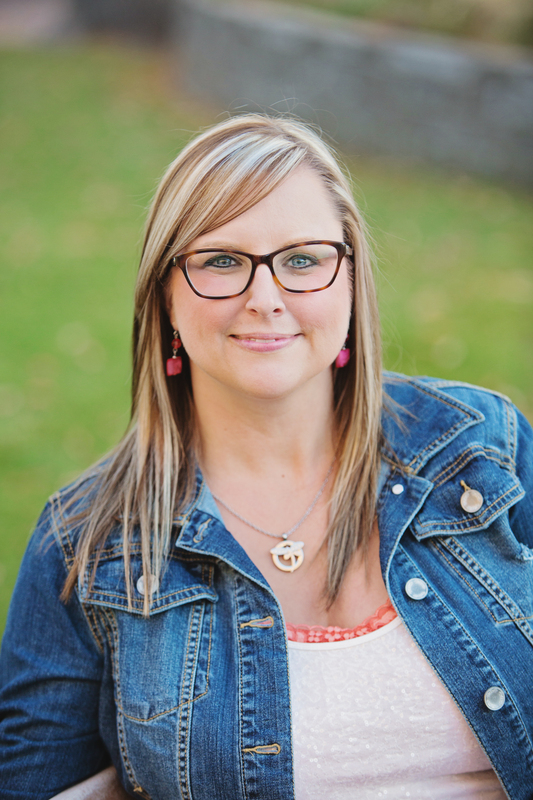 There is much more I have to say about ABA, you can read more of my thoughts in the links I’ve mentioned, My Thoughts on Applied Behavior Analysis and More Perspectives on Applied Behavior Analysis. I’ve also written an article for an anthology that will be published by a professor at Michigan University later this year (I can’t give away everything I’ve written in that article ;)). Let’s accept who our children are so the world can accept them. You can receive each post made to Lovin’ Adoptin’ by subscribing in the upper right corner. If your on a mobile device, you may need to do this on the web version. You can also “like” my Facebook page and follow me on Twitter and Pinterest for more helpful information and links.